This beautiful 5" x 4" Standing Cross is made of sturdy fiberboard and is multi layered with a smaller resin cross studded with faux rhinestones on textured brown and tan print. 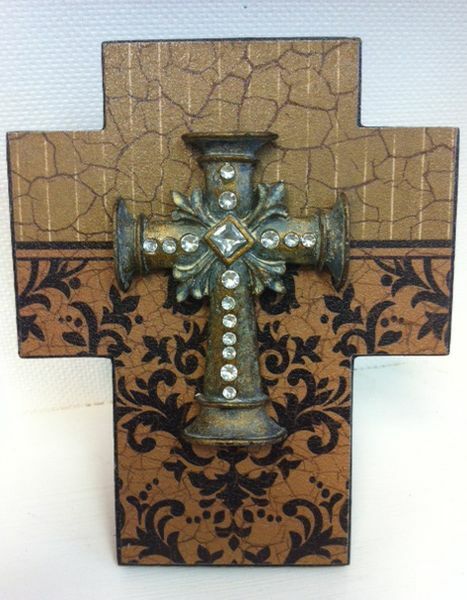 This Cross is the perfect size for a desk, coffee table, shelf or mantle. 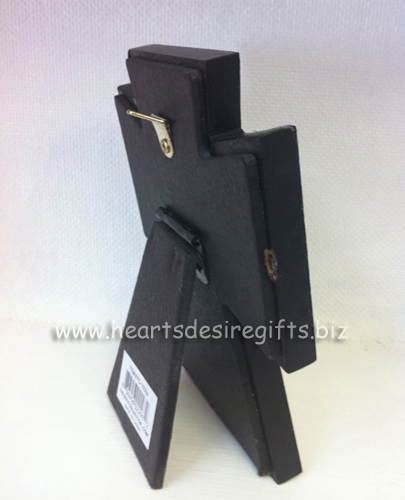 ♥ height 5" width 4"